As the controversies swirl forebodingly around them, blissful they remain, in the eye of a deepening storm. As mega-money casino interests, their political and media lackeys, and the lunatic fringe of anti-racing/animal rights grifters prepare the scaffold and tie up the noose, the Racing Greyhound remains oblivious to it all. They have no interest in the dirty politics, the metastatic corruption, the inane ideology, the absurd mythology, or the filthy lucre. Even if they could understand any of it, it would take but the mere flick of a velveteen ear, the twitch of a snow-white cotton tail, or the high-pitched whirr of an electronic lure motor, to demonstrate the depth of their commitment to anything other than living in the moment, and partaking of the chase. 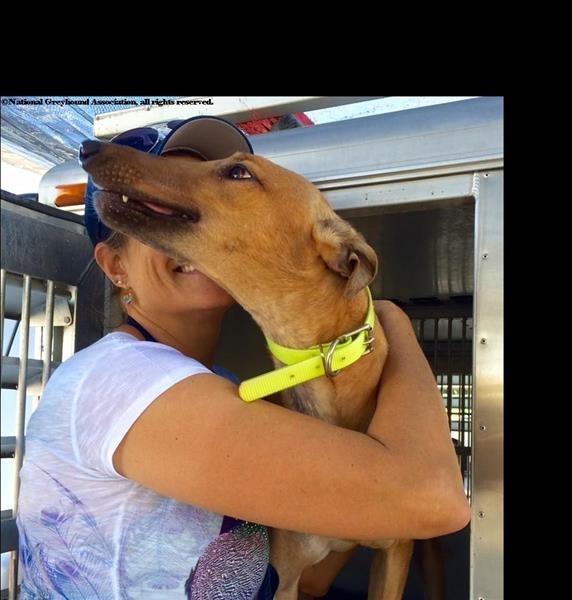 It is a modern day tragedy that ultimately, the Racing Greyhound may be forced to bear the brunt of so much human fallibility, avarice, and propaganda-driven misinformation. 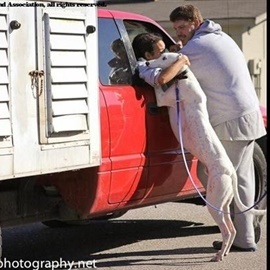 Unlike human culture, Greyhound “culture” does not evolve or degenerate. Not as long as they have their job to do. Their “Renaissance” was only in making the adjustment from the taking of live game, to the chasing of artificial lures–from the emerald of the coursing fields, to the tawny sands of the racetrack. Finally, in stunning and irrefutable repudiation of a virtual litany of misinformation concerning them, to arrive at a place in the pet world that is both phenomenal, and a testament to the standing they have earned in the grand scheme of things, as a breed unlike any other. The Racing Greyhound remains, for the time being, a population of supremely functional canines, whose experience is unique. One whose modern incarnation as a racing athlete, along with everything that it entails–right down to the zygote—has predisposed them to being held in such lofty esteem, by an ever-expanding audience of adopters and enthusiasts. Who are at once, beguiled, enchanted, befuddled and bemused by his ethereal elegance, his primordial sensibilities, and his near-alien athleticism. Sadly, his existence as a member of a thriving, vast, genetically diverse, superbly bred and splendidly adapted population, is ever more tenuous as each day goes by. His future, as something other than a breed on the barest fringes of existence, is anything but guaranteed, as humans pursue political and cultural agendas that do not perceive him as being anything other than a device. To be cast as a mythical, pathetic and wretched cliché, through which they can manipulate a gullible and deviously misinformed public, by cynically tugging on heartstrings–all to enrich themselves and their cronies. Just as disturbingly, there are still even some, among his custodial class of owners and breeders, who share a similar lack of empathy and vision, if not the unbridled cynicism of their antagonists. 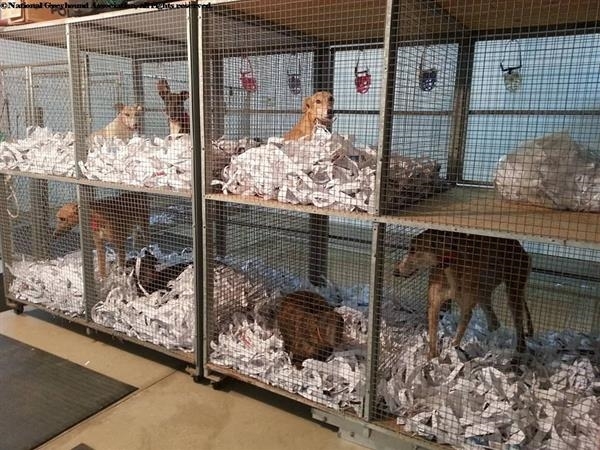 So where and when does it all end for the Racing Greyhound? That is still uncertain, but if things continue as they are trending, make no mistake about it, the end is near. As it stands, the fate of this ancient and historic breed has ultimately been placed in the hands of flighty, malleable and systemically corruptible politicians–politicians who supposedly work for the public. A public that has been so completely misinformed by parasitic, phony, profiteering “activists” and their allies within a toxic and sensationalist media, that they cannot even envision a population of high-functioning, sporting canines, who are perfectly content and fulfilled, doing precisely what it is they have been bred to do for a century, and for countless generations. 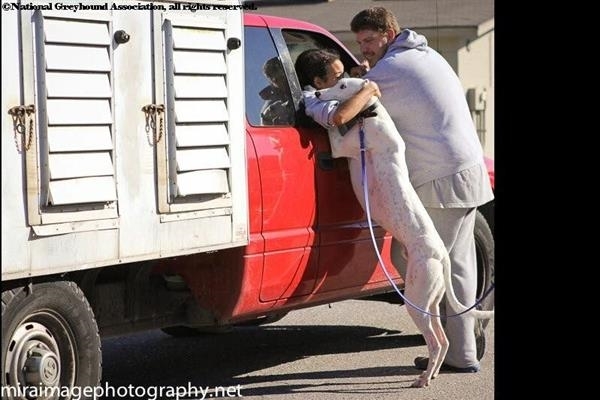 Never mind that by some informed estimates, there are currently as many as 200K Racing Greyhounds, happily living as retired, personal and family pets, service dogs and amateur athletes, throughout the US and in nearby Canada–cherished and lionized to an extent that it might be perceived by some as a near mass neurosis. 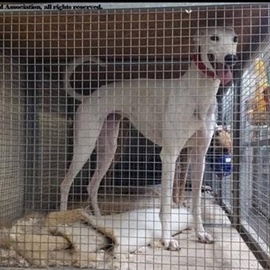 No one can seem to put two and two together anymore, and come to the logical conclusion that this adoption phenomenon–whereby each greyhound must rapidly adapt to what for them, is life in an entirely alien universe—could not possibly have come to pass, were we dealing with a population of traumatized, abused, neglected and/or socially-retarded dogs. Canines just don’t manifest that way. So what are we to do, to insure the future of the functional, genetically diverse and meticulously, selectively-bred Racing Greyhound? 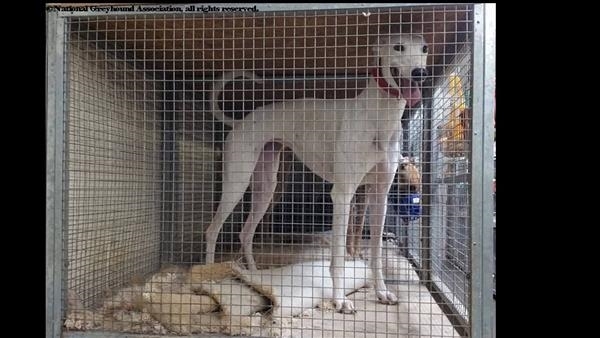 Firstly, those within the community of Greyhound breeders and owners, must work to have “right-to-race” laws passed. 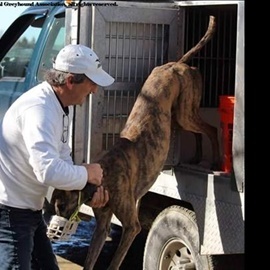 The current system, whereby a kennel entity must sign a contract with the racetrack in order to be able to race, and in so doing, must expand his operations to handling as many as hundreds of greyhounds, in order to support the track’s demands for racing, needs revision. 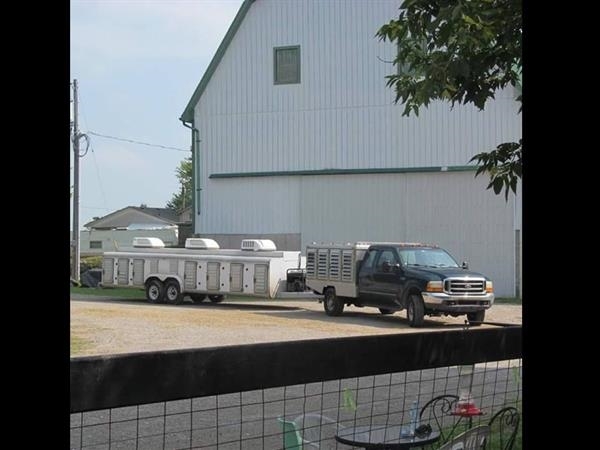 Meanwhile, small local breeders, who are almost an extinct species, are unable to race under their own brand, and must lease their dogs to contracted kennel entities—for a fraction of their earnings. This system discourages local participation, and prevents the forming of local business networks, which possess a certain degree of political influence. 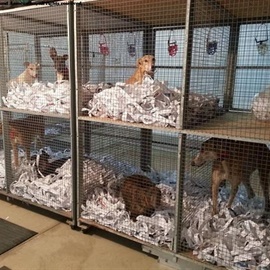 As it is now, out-of-state, contracted kennels are granted the right to race under their own brand, while no such privilege is afforded the smaller, local breeder, who is both a property owner and taxpayer. He is forced to “sharecrop”, unless he wishes to become a “corporate” kennel. Under this archaic and exclusionary system, it is hard to attract new blood, ideas and investment to the sport, and to a breed whose appeal within the realm of sport, has always been that it is the “poor man’s race horse”– a prize that anyone might be able to someday grasp. Secondly, every effort must be made to insure the safety of racing surfaces, and to fail-safe the electronic lure equipment, so that fewer and fewer injuries are sustained by Greyhounds as they perform and train. In a related vein, serious consideration must be given to adopting, as they have in IRE and the UK, the six-dog, rather than the eight-dog race. Greyhound racing is not a contact sport. While some jostling and rubbing is to be expected, a field of six dogs, rather than eight, automatically eliminates 25% of possible contact-related incidents, some of which could lead to injury, particularly when collisions occur at high galloping speeds. Taking it a step further, there is no compelling reason not to adopt what is referred to in IRE as “preferred seeding”. 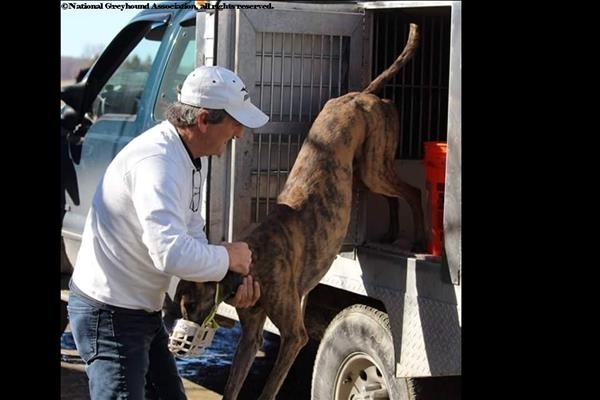 That being, where the racing secretary assigns the Greyhound to the starting box that is closest to the “lane” the Greyhound chooses to take when racing, rather than by random draw (as it is done now, via a computer program). Each Greyhound has a preference for a specific “lane” on the race track, from which they do not normally deviate. Some prefer to take an inside line, some prefer an outside line, and others prefer to take a mid-track line. By boxing the Greyhound close to his preferred “lane”, many high speed collisions and the occasional falls that are the result of those collisions, can be eliminated. I can already hear the yowls of discontentment from the wagering fraternity. Sharp and seasoned gamblers make a lot of their money by accurately predicting when such things as contact caused by greyhounds who are boxed unfavorably, involve and eliminate wagering favorites, allowing them to cash in on a dog who is less talented, but more favorably positioned, and attractively priced at the betting window. In our Pari-Mutual system of wagering, the racetrack is the simply the bet-holder. They have no stake in who wins or loses, they merely account the wagering on each race, and pay out according to how many winning ticket holders there are, minus the pre-deducted “takeout” (which monies are split among the track, state and the kennels). The gamblers, be they novices or railbirds, are betting against one another. And therein rests the problem. The solution is to abandon that Pari-Mutual system. Allow private bookmaking concerns to sponsor the races, set the odds, creatively diversify the wagering formats, and back the wagering—as they do in Europe and Australia. 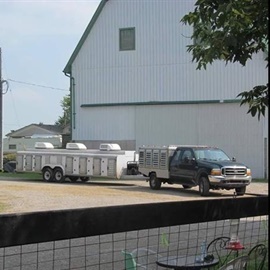 In any event, more well-maintained racing surfaces and equipment, smaller fields of Greyhounds in each race, and preferred seeding, all guarantee more formful racing. 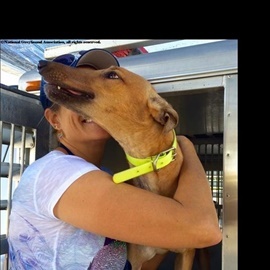 This leads to more winning wagers among the track’s clientele, which in turn leads to more wagering and more total handle—a tiny percentage of which is the one and only thing that supports the entire Racing Greyhound population.